Well, yeah. This image is quite big. 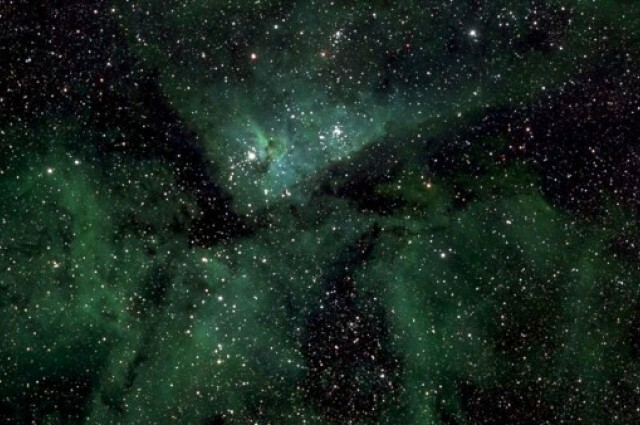 Astronomers have stitched together a high-resolution vision of the Milky Way, which measures an amazing 46 billion pixels and its total size is 194 gigabytes. Yikes. Luckily, you don’t need to download the entire picture to observe it. A handy online tool lets you look through and scan the whole image to your heart’s content, which comprises the entire ribbon of our galaxy as seen from Earth. The image, generated by observations taken over five years, extents a 1,323-square-degree area of the sky, which is 6,500 times greater than the full Moon appears in the sky. The photo was generated by a group of astronomers from the Ruhr University Bochum in Germany and defined in a paper in Astronomical Notes. You can see the entire image here, and after all, it’s undoubtedly one of the most comprehensive images of our galaxy you’ll ever see.